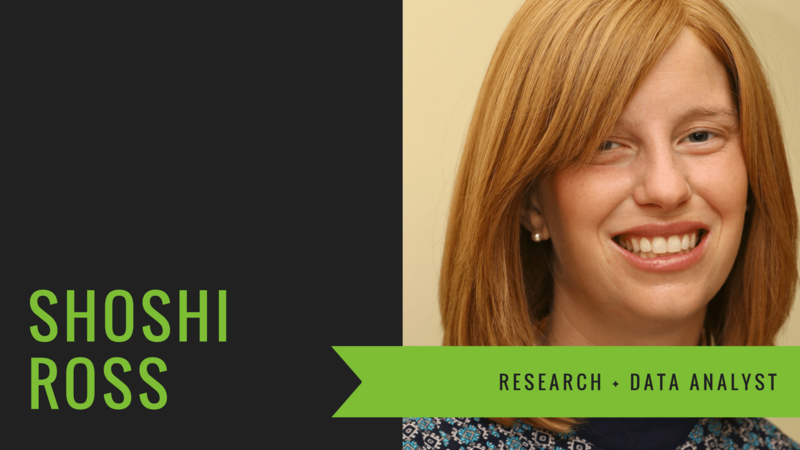 Shoshi Ross serves as a research consultant and data analyst for a wide range of for-profit and nonprofit organizations, including Chabad on Campus International, the Yashar Coalition, Jerusalem U, AJOP, Shalom Task Force, and many doctoral students. In this capacity, she ensures that organizations and academic initiatives use best practices with well formulated and presented statistically sound research tools, enabling internal staff and external stakeholders to utilize research to further develop their fields with data-based decision making. In addition to her extensive experience overseeing survey design, development, distribution, and analysis she has published several papers. She is currently working alongside Jack Ukeles to provide statistical support for his book on Jewish communities in North America. Shoshi holds a BA from Barnard College and an MA in Educational Psychology Tests and Measures from New York University.